Do you have a Love/Hate relationship with your laundry detergent? 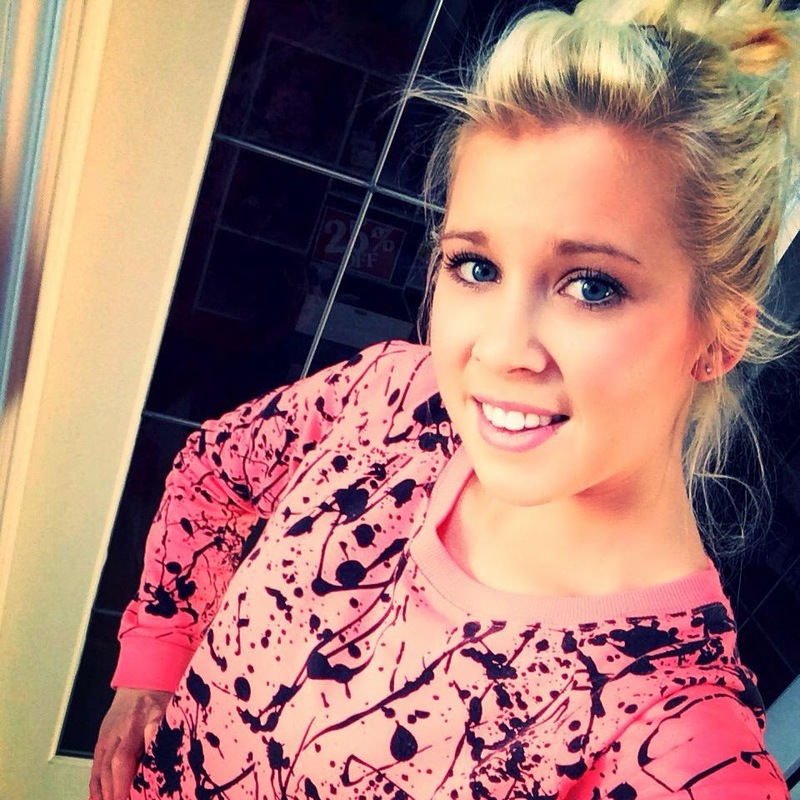 Be honest! I hated having to lift those big containers to pour just a little amount in the detergent slot. And the cups don't even get me started! Lets just say by the end of that massive bottle that cup is nasty OK gross! So during one of my pinning spree's I came across this brilliant idea! 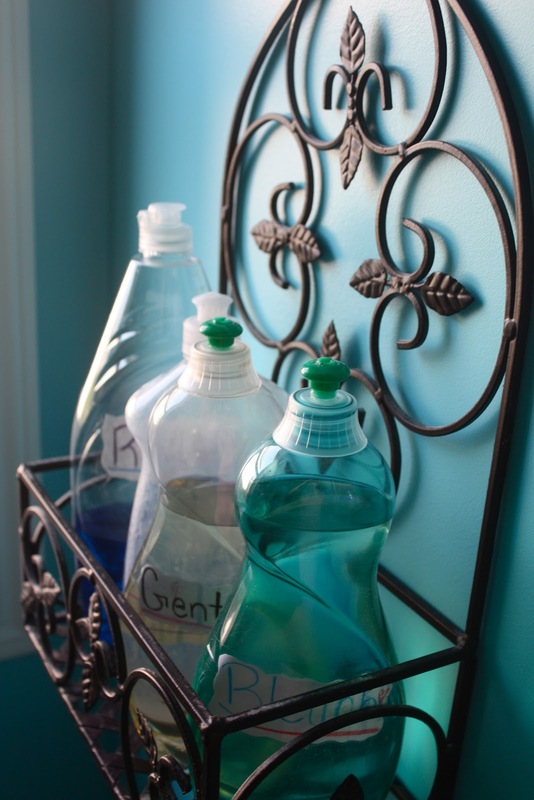 Fill dish liquid bottles with your detergents, bleach & softeners! 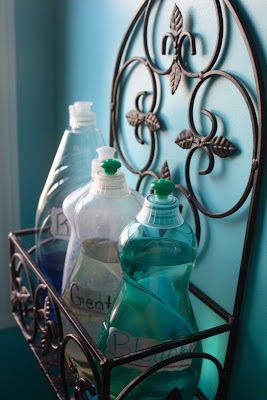 - Enjoy the simple yet life changing addition to your laundry room! Then just find a pretty little stand or basket to put them in!